Playing in the NBA is hard work. The back and forth pace of the game puts a lot of stress on the human body, and with the average height of players hovering around 6'7″, cramming those long legs into an airplane or a bus isn't doing any favors, either. It's no wonder, then, that we see players getting hurt throughout the season. Torn ligaments, broken bones, muscle strains…they're all a part of the game, and when they happen, you can't do much except rehab to get back to a high-performing level. However, sometimes players take their injuries into their own hands and get hurt in the dumbest ways possible. That's what this list is all about. Here are the stupidest sports injuries in NBA history. The Oklahoma City center was frustrated during a game against the Dallas Mavericks and punched a chair. As is often the case, the inanimate object got the best of the player. 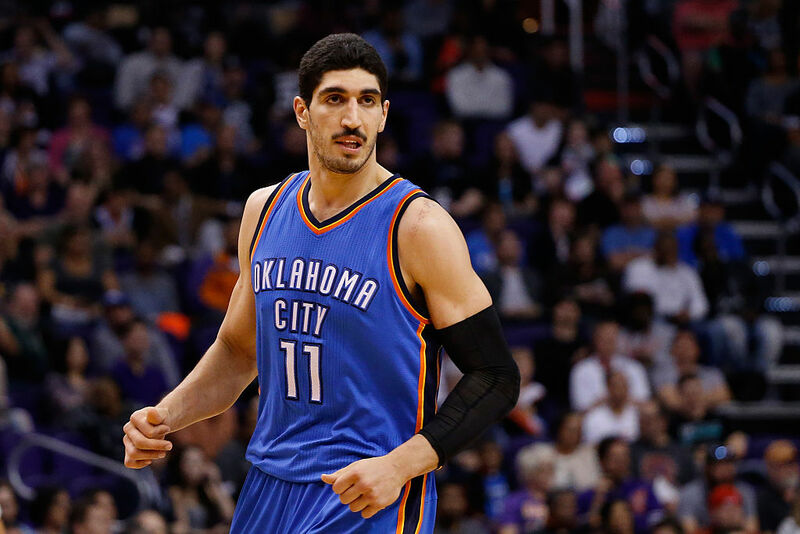 Kanter suffered a broken forearm and will miss 6-8 weeks. Pretty bad timing, too, as the Thunder are in the middle of the playoff race. Proving once again that inanimate objects always win, the Knicks' Amar'e Stoudemire was angry after Game 2 against the Miami Heat during the first round of the 2012 NBA Playoffs. After getting blown out in Game 1, the Knicks had dropped a close one and were heading back to New York down two games to none. Stoudemire took his anger out on a fire extinguisher, punching through the glass with his hand. He cut a muscle and required surgery, forcing him to miss Game 3, which the Knicks lost. Stoudemire returned for Game 4, but by then the series was all but over. The best part of this story is that Charles Barkley is a fan of Eric Clapton. After winning the MVP in 1993, Barkley sought to defend his title the following year. And attending a Clapton concert was the perfect way to relax. However, Barkley had recently used lotion on his hands, and when he rubbed his eyes, the lotion ended up blurring his vision. 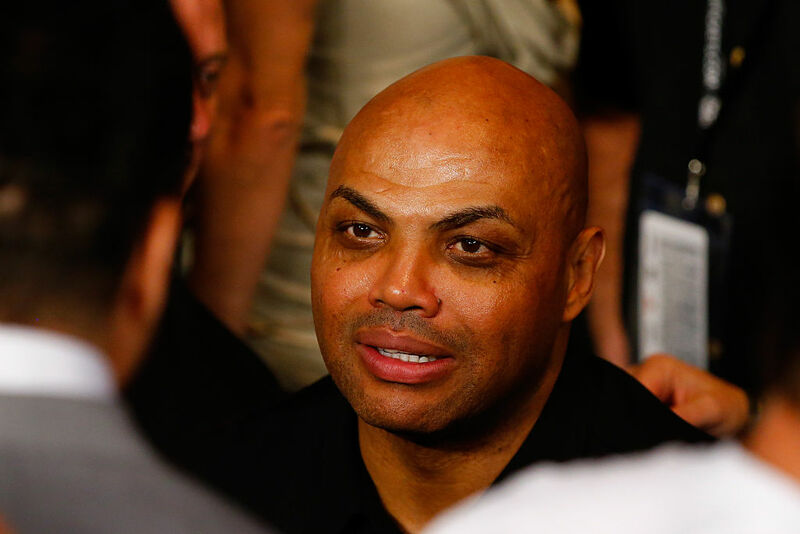 There are so many follow up questions to this story, too – how much lotion was Barkley using? Did he bring it with him or did he put it on at home? What's his favorite Clapton song? At one point, Andrew Bynum was one of the most promising young centers in the NBA. After being traded to the Philadelphia 76ers in 2012, Bynum experienced swelling and arthritis in his knees. While rehabbing, he went bowling and slipped and fell, further hurting his knee and causing a setback in his recovery. He missed the entire season and never played a game in Philadelphia, yet still made $16.1 million during the year. In July 2008, Monta Ellis had just signed a shiny new six-year, $66 million contract. Just one month later, he was out riding his moped when he crashed. He was traveling at a low speed but still seriously hurt his ankle. He compounded the injury by lying about how it happened – he told the Warriors he injured himself playing pickup basketball – and then-Warriors president Robert Rowell handed Ellis a 30-game suspension. That cost Ellis about $3 million, but it also created a rift between Rowell and then-owner Chris Cohan and then-coach Don Nelson and then-GM Chris Mullin, which caused the team to struggle for the remainder of Ellis' stay in Oakland. He was traded in 2012, and the following season, the Warriors returned to the playoffs. Lionel Simmons had a solid, if unspectacular seven-year career for the Sacramento Kings, earning more than $21 million in the process. He even made the NBA All-Rookie First Team in 1991. However, he missed a pair of games during that season thanks to his obsession with Nintendo Game Boy. Simmons developed tendinitis in his right wrist and forearm from playing too many video games, and mothers everywhere clucked disapprovingly. 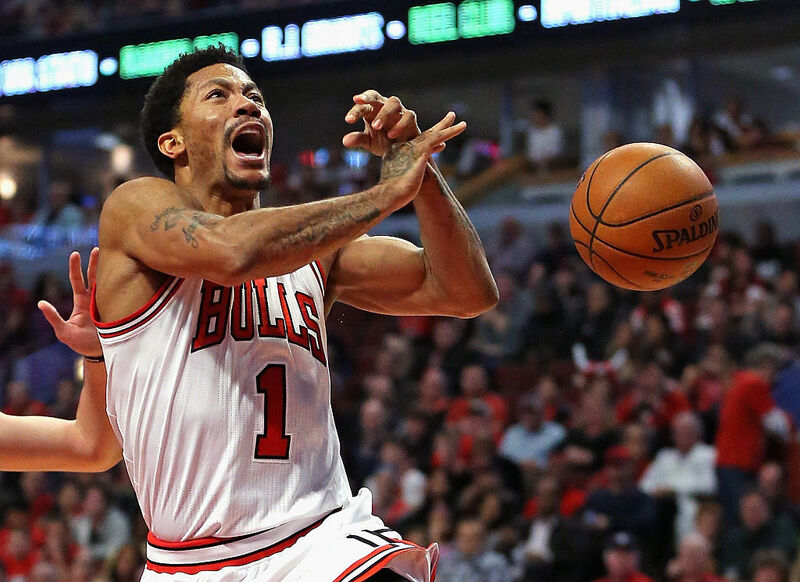 Derrick Rose has suffered from a ton of different injuries, and he really hasn't been the same player since tearing his ACL in the closing moments of a 2012 playoff game. However, back when he was a spry young rookie in 2008, he had perhaps the dumbest injury of all. He was craving a snack while lounging at home, so he picked up an apple and a knife to cut off manageable bite-size pieces. After getting up, he forgot the knife was still in the bed, which resulted in him cutting his arm open and needing 10 stitches. First of all, what kind of knife was he using? And secondly, how aggressively was he hopping into bed to suffer an injury like that?! Former San Antonio Spurs big man Matt Bonner had one of his worst years during the 2014-15 season. Normally a three-point marksman, his percentage was about five points lower than his career average. Bonner had a theory for the off-year: "When the new iPhone came out it was way bigger than the last one, and I think because I got that new phone it was a strain to use it, you have to stretch further to hit the buttons, and I honestly think that's how I ended up developing [tennis elbow]." It's a good reminder to stretch after using technology. Former Chicago Bulls center Luc Longley won three championship rings during his career, but he also has some terrific stories, several of which have come after injuries. During the 1996-97 season, Longley went body surfing with teammate Jud Buechler and separated his shoulder, missing two months. At the time, Longley said he had fought a shark – "He was bigger than me – and better looking" – before confessing the truth. Then in April 2000, while a member of the Phoenix Suns, Longley played through a pair of scorpion stings, one to his foot and another to his buttocks. He suffered the injury while sitting on the floor of his home, going through his CD collection. Longley has never confirmed if that collection included the Scorpions' greatest hits album.